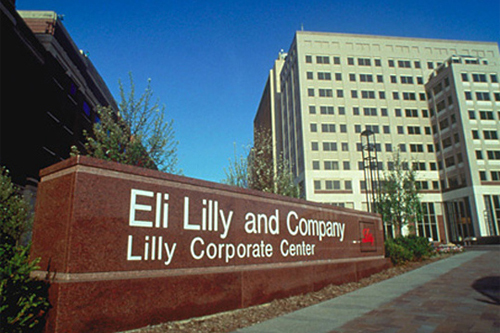 Just a few days after claiming its first approval in breast cancer, Eli Lilly’s Verzenio has failed to meet the mark in a phase III study intended to spearhead a shift into the lung cancer category. CDK 4/6 inhibitor Verzenio (abemaciclib) was unable to improve overall survival in the JUNIPER trial, which tested the drug as a second- or third-line monotherapy patients with KRAS-mutated, advanced non-small lung cancer (NSCLC). The study compared Verzenio to Roche’s EGFR inhibitor Tarceva (erlotinib), which when it started in 2015 was the only agent indicated for second- and third-line therapy in advanced NSCLC, and found hints of improved activity on secondary endpoints including progression-free survival and overall response rate. The failure deprives Lilly with a potential leg-up as it tries to compete against its main rivals in the CDK 4/6 inhibitor category, namely first-entrant Pfizer with Ibrance (palbociclib) and Novartis with recently-launched Kisqali (ribociclib), although it reckons Verzenio can still lead in breast cancer after picking up an early approval from the FDA towards the end of last month. Neither Ibrance nor Kisqali are in large-scale trials for NSCLC, so Lilly could have claimed a couple of years’ lead in what is one of the largest cancer indications. The new data comes as Lilly has just started its roll-out of the drug, billed as one of the top prospects in its pipeline along with new diabetes drug Trulicity (dulaglutide), and the miss unsurprisingly put pressure on Lilly shares which closed down just over 1% yesterday having dipped 3% in earlier trading. Lilly isn’t giving up on the lung cancer indication yet however, and Levi Garraway, senior vice president, global development and medical affairs at the firm’s oncology unit, noted that it has “several studies ongoing of rational combinations that include abemaciclib in non-small cell lung cancer and other malignancies”. It is nevertheless a setback to Lilly’s plans to develop the drug for specific tumour mutations such as KRAS, which along with NSCLC are seen in colorectal and pancreatic cancer as well as certain leukaemias.